Fostered with rich industry experience and a highly experienced team of professionals, we are offering Brass Round Bar Bs 218. Our offered roundbar is precision-designed to cater the requirements of different industry applications. The provided round bar is manufactured by our vendors’ experts using high grade raw material and progressive technology. Furthermore, this round bar is available with different specifications like thickness and sizes. 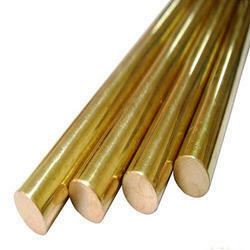 Riveting Brass Rods: IS: 2074, BS: 2874 CZ119, IS: 4170/75, Cu Zn 38PB1 / 1.5. 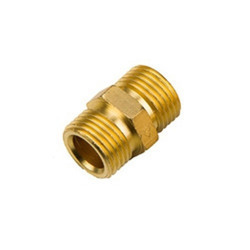 Our company has gained immense accolades in the field of offering Brass Compression Union to the clients. Brass Compression Union is packed using premium packaging material such as cartons and plastic bags for ensuring safe transit at the customer specified destination. This product reduces the flow of pressurized fluid flow in various pipe fittings. Offered range is manufactured using exceptional quality material and state-of-art techniques under the stern guidance of ingenious professionals. This product can be availed from professionals in various lengths, diameters and finishes. Looking for Brass Round Bar BS 218 ?